Today’s post is in honor of Staff Sgt. Roger C. Turner Jr., who was killed during an enemy mortar attack on this day in 2004 at Camp Anaconda, Iraq. 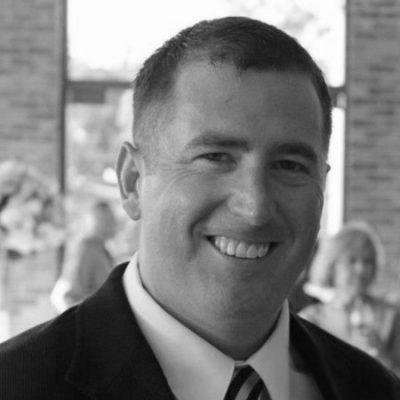 The 37-year-old from Parkersburg, W. Va. was assigned to Headquarters and Headquarters Troop, 1st Squadron, 10th Cavalry Regiment, 4th Infantry Division. 1862: Julia Ward Howe’s poem “Battle Hymn of the Republic,” which begins “Mine eyes have seen the glory of the coming of the Lord,” is published in the Atlantic Monthly. It will become a Union Army ballad. Today, the ballad is a martial hymn sung in American military chapels worldwide and by descendants of Union and Confederate soldiers alike. 1941: The 1st Marine Brigade is re-designated as the 1st Marine Division, and the 2d Marine Brigade becomes the 2d Marine Division — marking the first time Marine units are ever organized on the division level. 1942: (Featured image) Vice Adm. William Halsey Jr.’s Task Force 8 (USS Enterprise) hits Japanese facilities in the Marshall Islands, while Rear Adm. Jack Fletcher’s Task Force 17 (USS Yorktown) attacks the Gilberts. 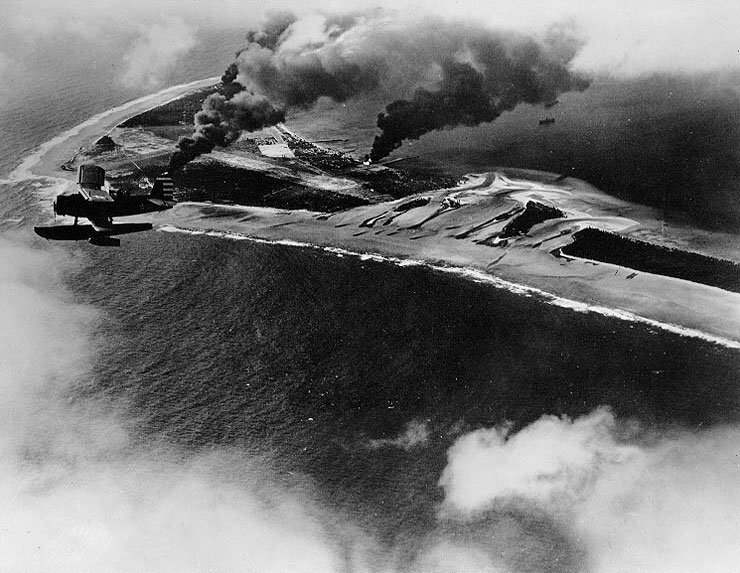 Aircraft and naval artillery inflict moderate damage to the Japanese garrisons and sink several smaller vessels. The Marshalls-Gilberts Raids mark the first American offensive operation against the Japanese during the war in the Pacific. 1944: Maj. Gen. Harry Schmidt’s 4th Marine Division lands at Kwajalein Island and Roi-Namur. Of the 8,000 original Japanese defenders, just 300 are captured when the islands are secured after three days of combat. 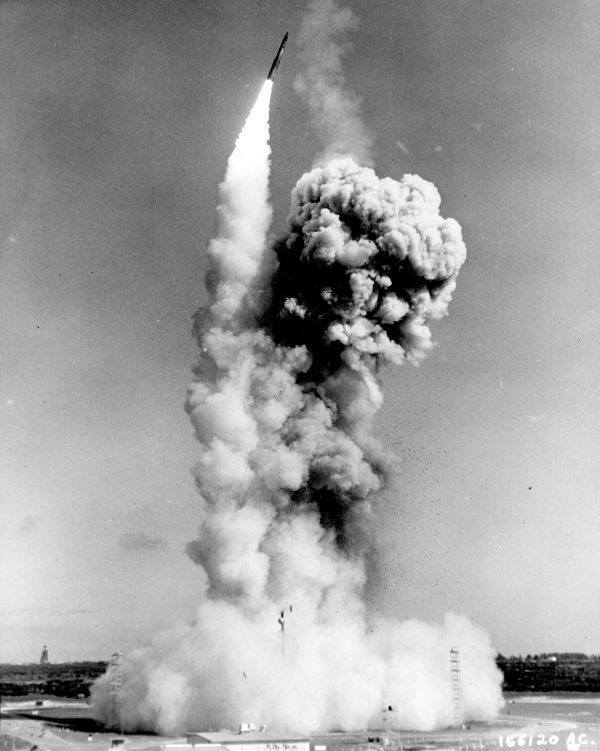 1961: The Minuteman I intercontinental ballistic missile (ICBM), the first three-staged, solid-fueled ICBM, is launched for the first time in a successful “all systems” test. The Boeing-manufactured missile can carry a 1.3 megaton thermonuclear warhead over 5,500 miles. 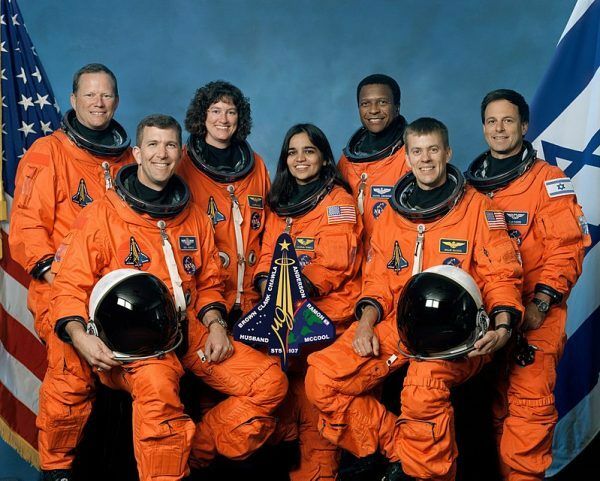 2003: After 16 days in space, the crew of Space Shuttle Columbia (STS-107) re-enters Earth’s atmosphere for landing. At 9:00 a.m. (EST), the thermal insulation system fails, and the shuttle disintegrates over East Texas, killing all seven crew members. The disaster occurs 17 years — nearly to the day — after Space Shuttle Challenger disintegrates during liftoff. Aboard are Col. Rick D. Husband (USAF), Cmdr. William C. McCool (USN), Lt. Col. Michael P. Anderson (USAF), Capt. David M. Brown (USN), Capt. Laurel Clark (USN), Israeli Air Force Col. Ilan Ramon, and Kalpana Chawla, a civilian mission specialist.